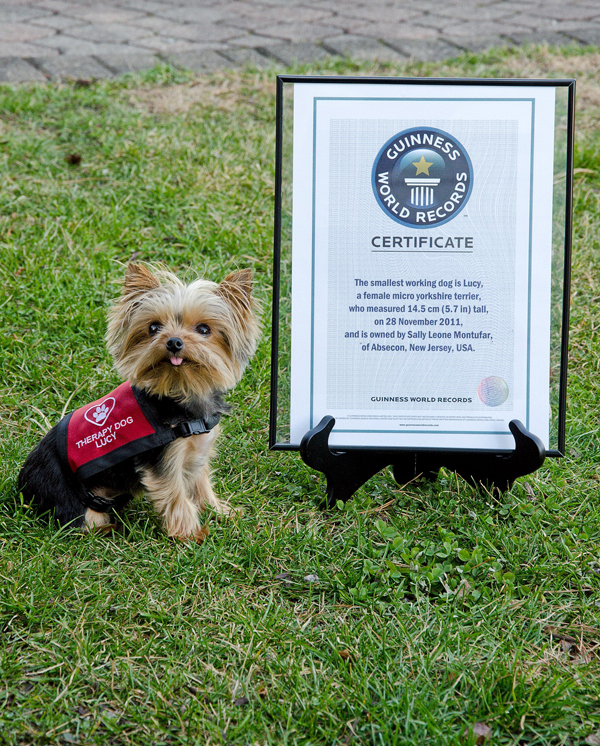 Meet Lucy, the micro Yorkie rescue pup turned Guinness World Record holder for Smallest Working Dog. She's a certified therapy animal, certified hospice volunteer, and an AKC Good Canine Citizen. 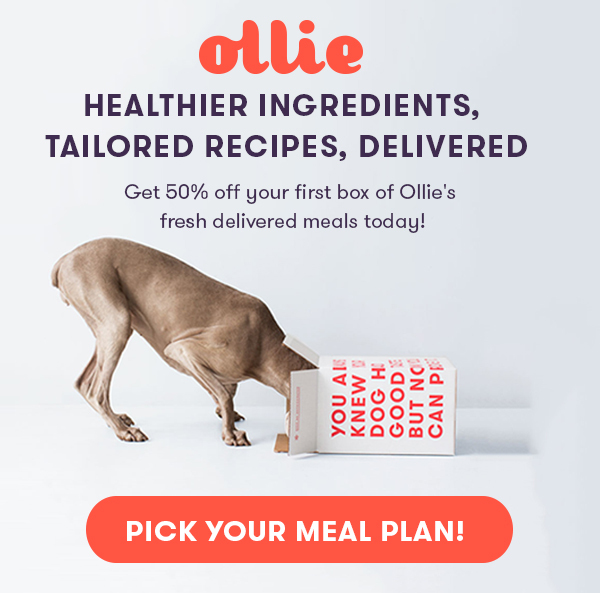 But her life wasn't always so full of guts and glory: As one of a handful of dogs in need of a new home in 2010, Lucy was sick, dirty, and huddled in the back of a carrier as her former owner walked door to door in Smithville, New Jersey in hopes of finding an adoptive home. The next option (and last resort) was a shelter. Luckily, the right door was knocked on and little Lucy struck something in Sally Leone Montufar, an employee in a pet boutique, who took one look at her and adopted her on the spot. A little TLC (and grooming) worked wonders and Lucy bounced back with a contagious new lease on life. Sally realized that Lucy's small size and sweet nature could have a big impact, and a miniature canine career in philanthropy was born. What began with hospital visits has led to official service certifications that allow Lucy access to even more people. Drawn to those in need of a smile, Lucy goes (without charge) wherever she is needed. Whether she's offering snuggles to a terminally ill patient, performing agility tricks at a physical rehab center, visiting autistic children at schools, or dressing in costume before making the rounds at a nursing home, Lucy spreads joy to those who need it most. Bonus: she also keeps an active Facebook page and Instagram, so you can get a (tiny) dose of her goodness anytime you need it.